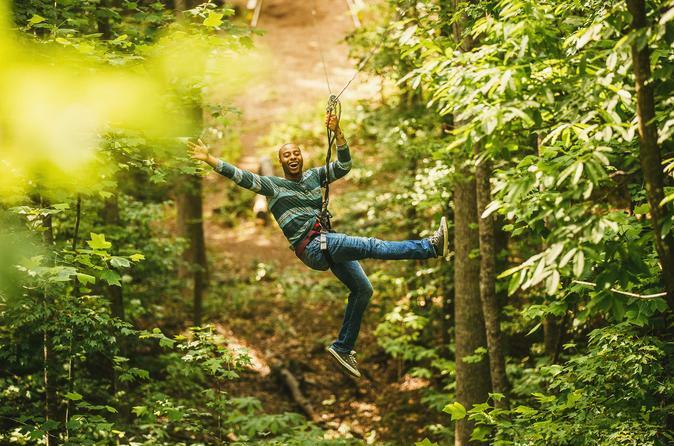 If you’re ready for a totally unique outdoor experience, it’s time to Go Ape! We have 2-3 hours of Treetop fun built into the forest canopy. Our Go Ape obstacle & rope courses offer guests chances to climb, leap and soar through the trees. Set in Shelby Farms Conservancy Park, Go Ape features a custom designed rope course including, treetop obstacles, crossings, and zip lines. All our courses are expertly constructed to prevent adverse environmental impact and work synergistically with the local topography. Whether you are an adventure junkie or ready to cross something off your bucket list, we have an unparalleled adventure experience waiting for you. Go Ape Shelby Farms offers a Treetop Adventure for adults and kids 10 and over.